How do you want to cater for your party? Do you want guests to eat standing up or sitting down? Do you want your party to be formal or informal? 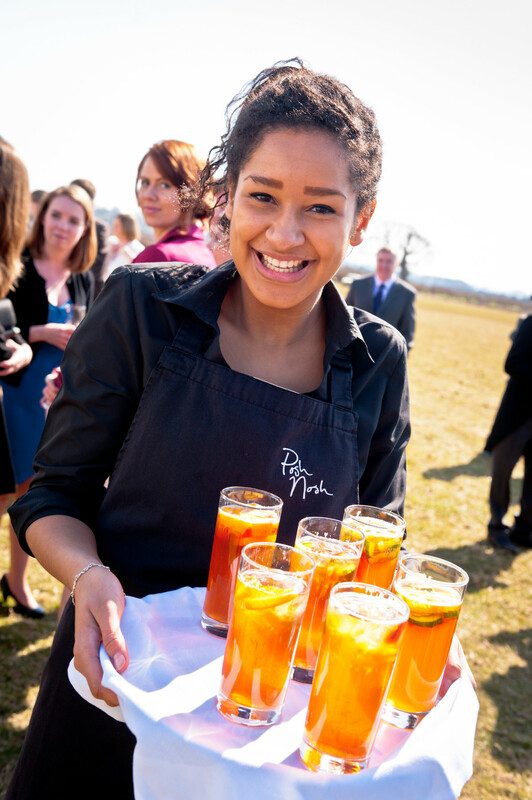 Do you need us to hire any glasses, crockery, cutlery, table linen or furniture? What cooking facilities do you have available for us to use? We can hire extra equipment if needed so not to worry if the answer is none! What are the times for your event? It doesn't matter if you do not have the answers to all these questions! We are happy to chat about what might work best and recommend menus that we know have worked at similar events. Something they don't cook at home! What we know from our experience is that everyone is also tempted and excited by food that is new or quirky. Trends always change and there is still nothing wrong with retro or vintage style so be inspired by our menus and suggestions or throw in your own ideas. We currently love street food and mini bowls... food such as curries in boxes, homemade fishcakes with chunky salsa, exciting hot dogs and mini doughnuts. 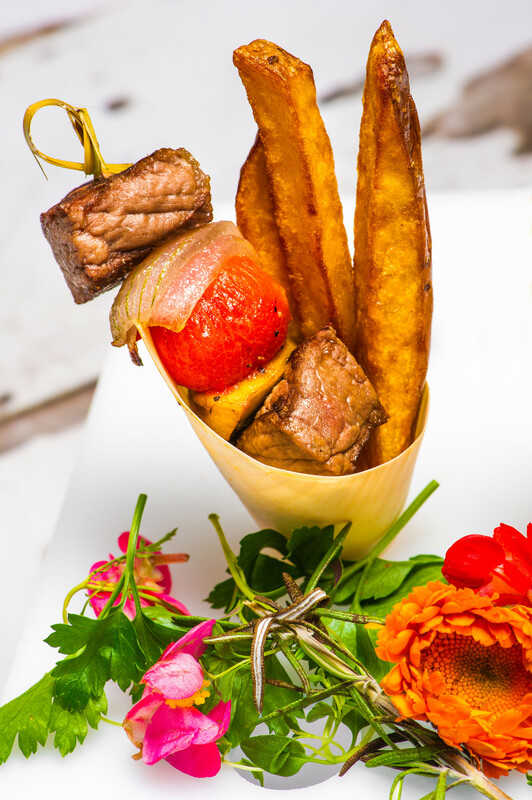 Probably the current overall favourite is still the mini cones of fish and chips, sweet potato fries and steak and chip skewers! Yum!